The 3M Company has awarded Saratoga PLAN an $11,250 Eco-Grant for environmental work related to the ongoing Bog Meadow Brook Nature Trail improvement project in Saratoga Springs, New York. 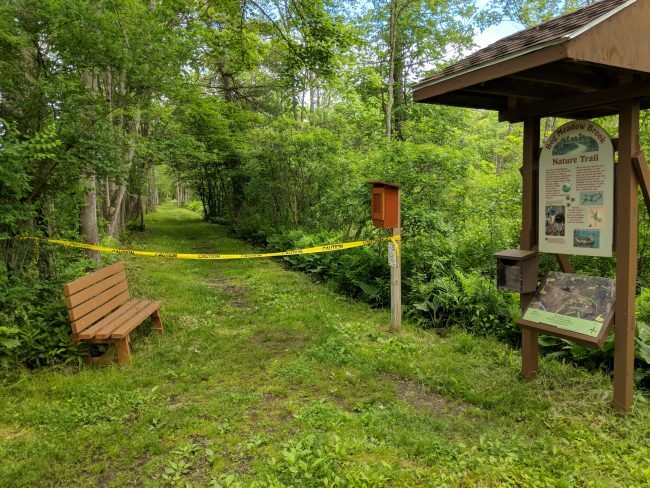 The funds will be used to improve trail access by creating a new route linking the Meadowbrook Road trailhead and the main trail, for boardwalk leveling and repairs, and to raise and smooth the trailbed from the northern Route 29 entrance. The well-worn and popular 25-year-old Bog Meadow Trail will form part of the Saratoga Greenbelt Trail, which will eventually circle the entire city and provide connector trails to the downtown area, Geyser Crest, and other parts of the community. The trail is built on a former rail bed that linked Saratoga Springs to Saratoga Lake and Boston. Saratoga PLAN is leading the trail renovation project, with funding and other support from the New York State Conservation Partnership Program, a generous matching grant from the City of Saratoga Springs, donated materials from the D.A. Collins Companies, and engineering and labor from Munter Enterprises, in addition to the 3M grant. Numerous volunteers will provide additional labor. Love this trail! I will walk it in all seasons with or without the doggie when I need to get out, but don’t want to drive up the Northway for a mountain hike. Hope all the old rail ties are removed this time. Thank to all who are donating time, materials, and cash to this very worthwhile project! Do we have a completion date? Work on the trail is progressing well. We anticipate finishing most of the work this summer, but there is not a definite date yet. Stay tuned!